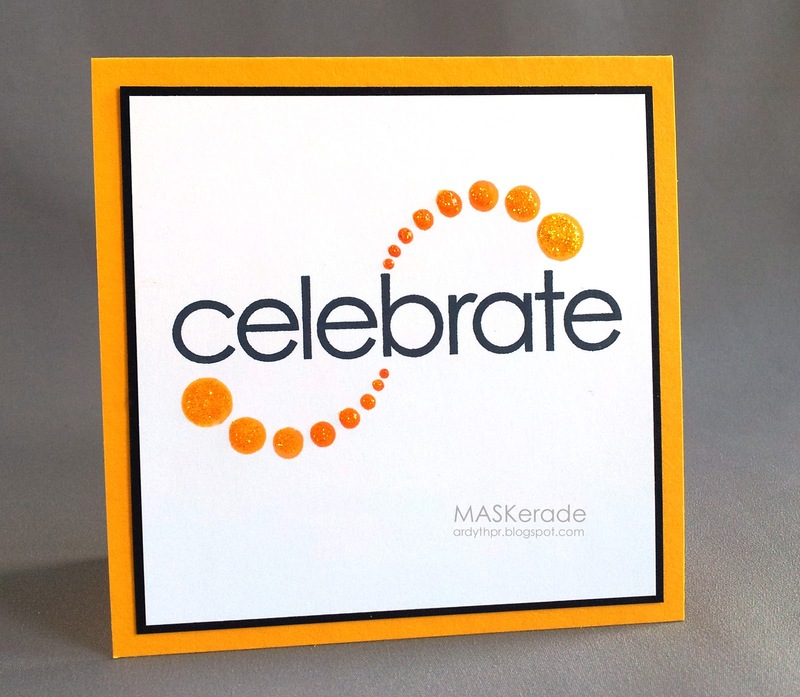 MASKerade: Celebrate. Again. And Again. I was struck by a comment that Kelly left the other day on this post, saying " I'm always happy to hear others making more than one or two versions of their cards!" It reminded me that design is an iterative process. You try things over and over with small (or not-so-small) differences until you get to something you like. It is, after all, only paper and ink, right? The grandparents of this card, it won't surprise you to hear, were my Muse cards (for the sentiment) and also the Christmas cards that Kelly was referring to (for the dots). I love this font with its circular letters and straight lines. 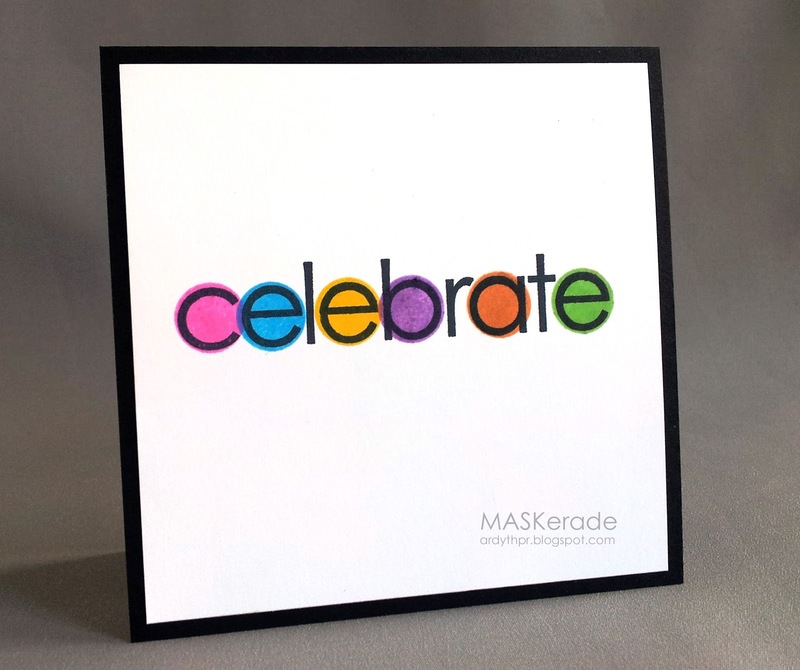 So I tried a few of these with different colours, adding clear embossing over top of the dots (NO.) and having varying success with positioning the dots where I wanted them (even now, I'm not sure about the 'a'). Anyway, I guess it's just a long way of saying that it's ok to keep trying things - some will end up in the recycling bin and some will amaze you! you are so right. all the versions speak to me in your always spot on graphic way. I love seeing variations on a theme. Love seeing the variations of cards you created Ardyth. Design is so iterative and very, very cool! Love to read your thought processes on these, Ardyth! So true! Hard to believe that you have cards that end up in the bin! I love both the cards. The one with the swirls has really nice movement. These are both amazing. I sometimes will do multiple iterations if I am not sure what idea will work better. Sometimes it is both, and sometimes it is neither.